1-At 6:00 am Arrival to Cairo airport then Transfer in a Private A/C Coach to check in Hotel. 2-Then At 9:00 am Start the tour to Giza Pyramids. Visit the 3 Great Pyramids (Cheops, Chefren and Macarinos). Visit The Great Sphinx which has kept its secrets for centuries. 13:00 Visit Step Pyramid of Sakkara the First Pyramid ever built. 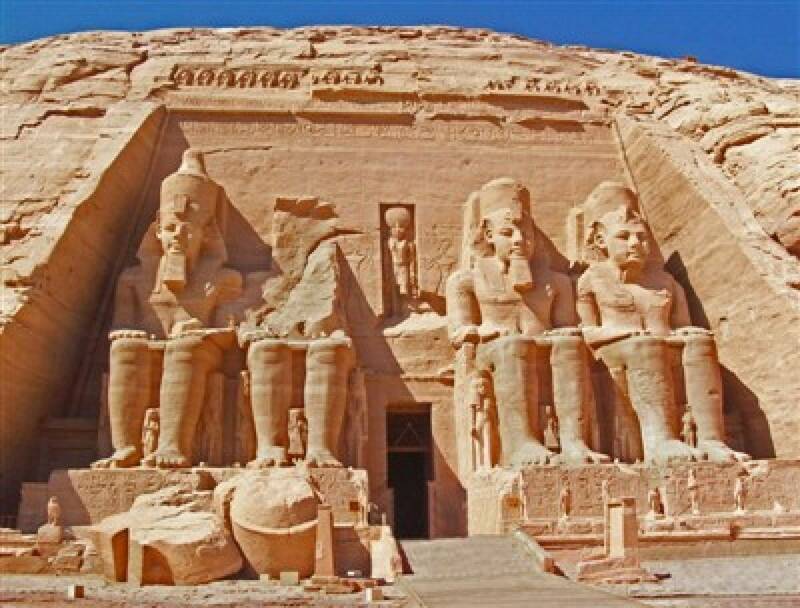 Visit Memphis, Egypt first Capital, Colossi of Ramses 2nd and The Alabaster Sphinx. 2-Visit The Egyptian Museum containing over 120000 pieces. The Brilliant collection of Tutankhamen. Visit The Citadel (Old Castle) fortress with. Visit to The Mohamed Ali Mosque (the Alabaster Mosque). Visit Coptic Cairo home of some of the oldest Christian Churches. Walk where Virgin Mary and Jesus walked thousands of years ago. Visit Khan El Khalili bazaar and have a free time. 3-Transfer to the airport to fly to Aswan at 11 PM, arrive Aswan airport, then transfer to hotel and overnight. 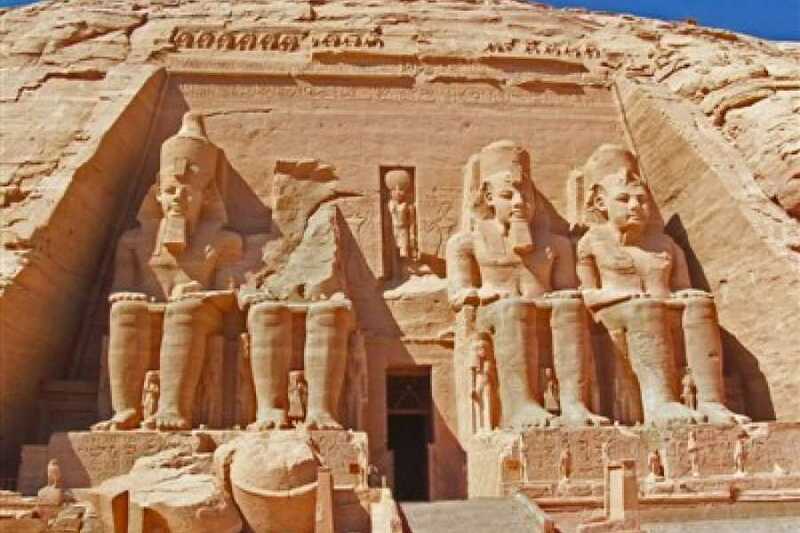 1-An early pick up from hotel at 3 AM, to join the convoy to Abu Simbel to visit the great temple of king Ramses the second and the small temple of his wife queen Nefertari, then transfer back to Aswan. 2-Start tour to the city of Aswan. Pick up from hotel to then start Luxor tour to the West Bank. - Visit the Valley of the Kings. - Visit the valley of the queens. - Visit the Temple of Hatshepsut. - Visit the Colossi of Memnon. - Visit Luxor Temple originally joined to Karnak by an avenue of Sphinxes. - Visit Karnak which covers a huge area and includes several temples, the largest being the temple of Amon. - Start tour to visit Dandara temple. - Drive back to Luxor. - then an early pick up to do the balloon ride. - Then transfer to Luxor airport .